The machine adopts electromagnet for vibration, which is stable and reliable. 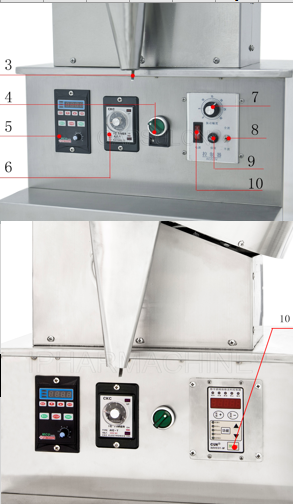 Unique design, and it is easy for the operator to check the counting accuracy. Small in size, light in weight, and is easy to operate. It is applicable to pharmaceutical, hospital, food and other industries. 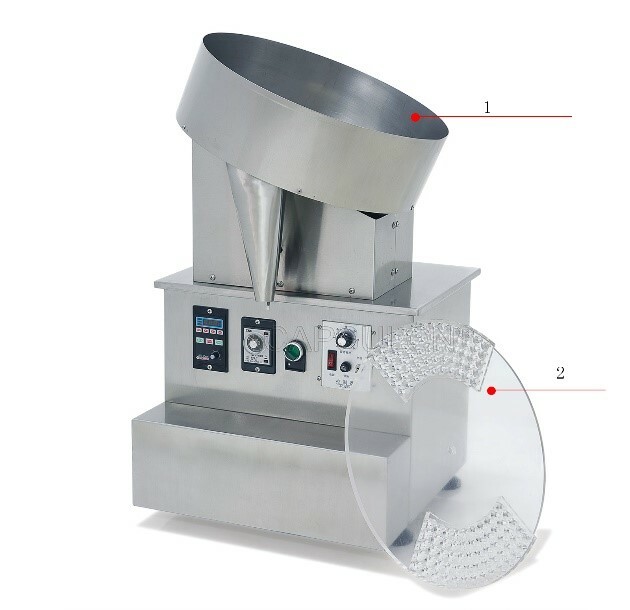 It is suitable for pharmaceutical, hospitals, food industry, tablets, granule drugs or food counting, bottle and bagging.The counting mold can be changed based on different materials. medicine contact parts adopt stainless steel as raw material to ensure the packaging goods conform to GMP requirements. For size 00 capsules, 100 pcs per time, size 0 capsules, 120 pcs per time, and size 1 capsules, 150 pcs per time. For tablets of 6 mm, 150 pcs per time, and for tablets of 8 mm, 100 pcs per time. And the thickness of the tablets shall be 3-20 mm.